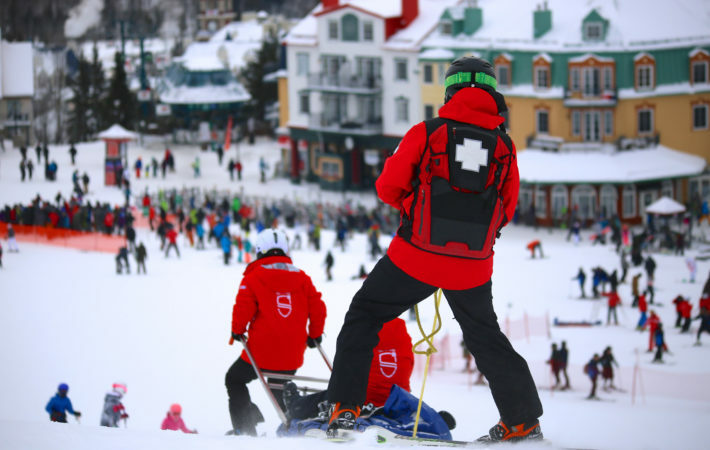 At Tremblant resort and as a qualified instructor, safety comes first. 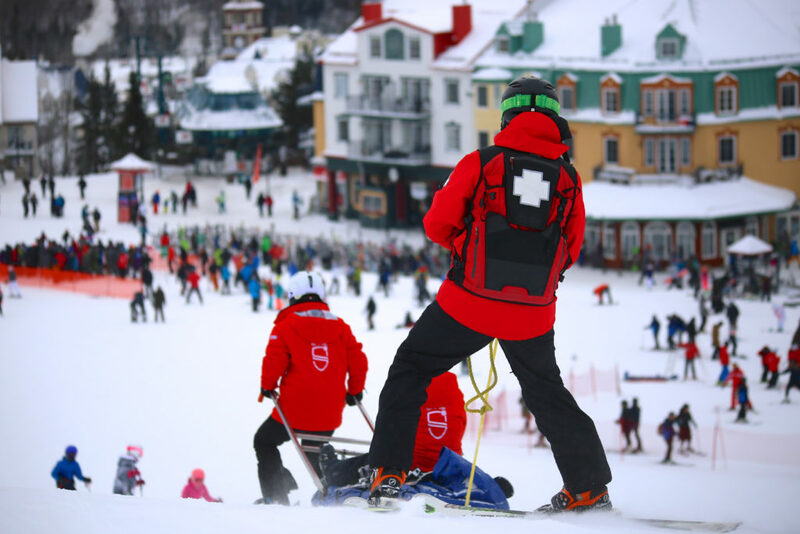 On our instructor courses, you have the chance to do a Mountain First Response course, learning first hand from the ski patrol how to ensure safety on the slopes and how to respond in case of an accident. On completing this course you can become a volunteer patroller, helping the team out with some of their responsibilities. 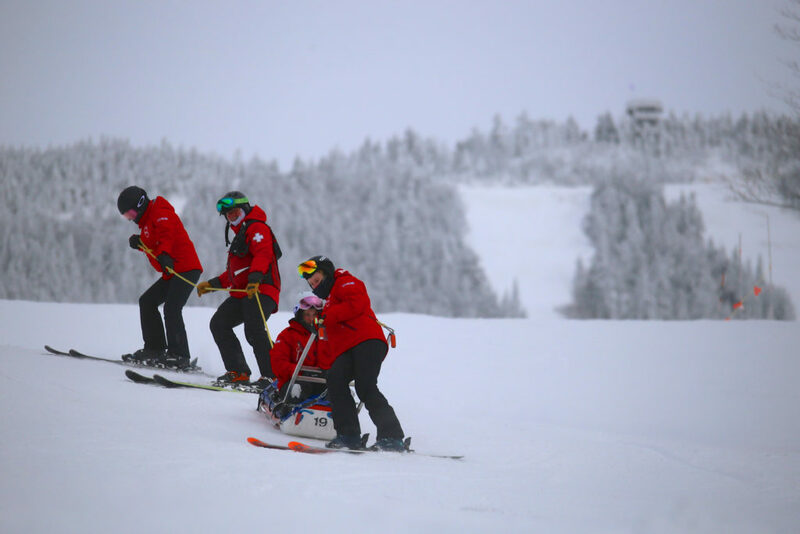 Before the mountain opens the patrol team implement a protection plan to ensure the slopes are a safe environment for people to enjoy. 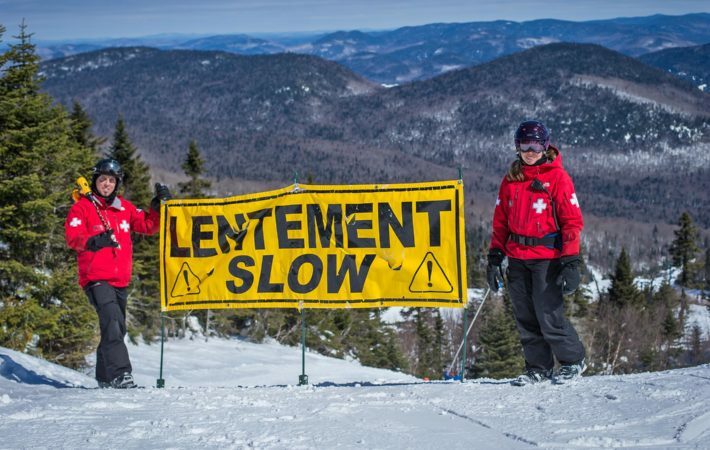 Tasks include – cushioning obstacles, checking groomed runs and making sure appropriate signage is in place for things like piste closures and reduced speed zones. 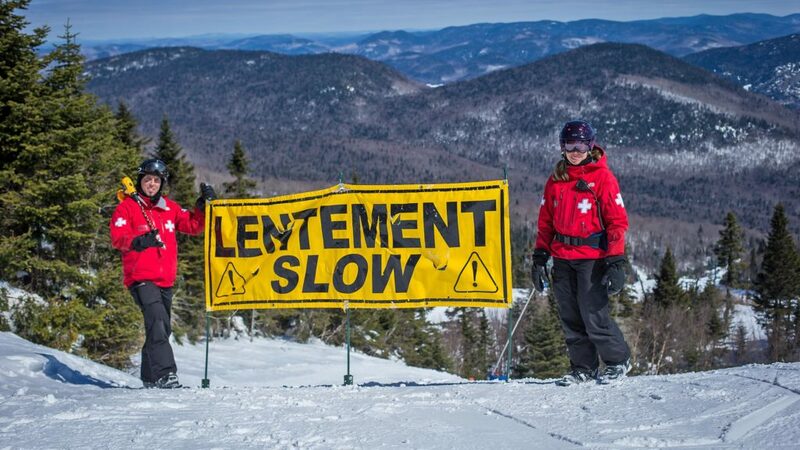 There are several tools and signs that the patrol can use to warn skiers and snowboarders of hazards on the trails. Here are a few to look out for. Indicates the presence of rocks that cannot be seen on the trail. 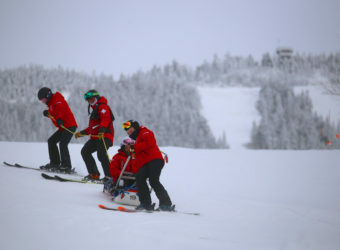 The ski patrol are on call all day to ensure everyone on the slopes are respecting the Mountain Code of Conduct and are the first responders in case of an accident. 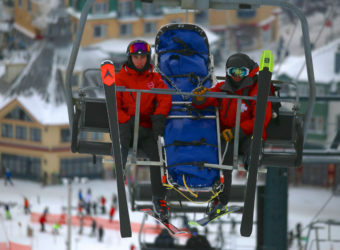 When you qualify as a ski instructor or snowboard instructor, your primary concern is for the safety of your clients. Having completed the Mountain First Response course, you will already know the safety rules and the steps to follow in case of an accident. You can take this knowledge with you to use when raising safety points during your lessons. 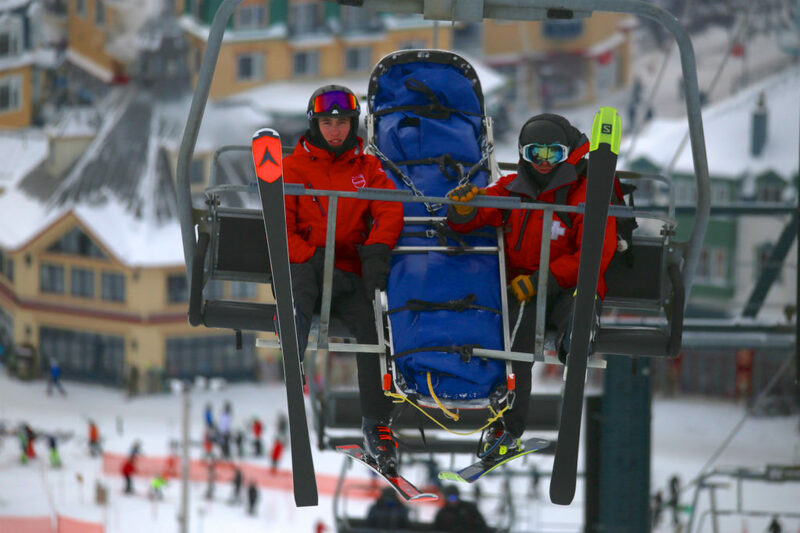 Read Gapper Lauren’s Mountain First Response experience here.